There are many types of insurance out there that can cover anything imaginable. However, some are more worthy of a space in your financial plan than others. Yes, you’re working hard to establish a wealth empire so that you can live a happy life, but you also need to find a way of protecting your income, possessions, and life. You just don’t want to wake up one day and find your “empire” in ashes. You don’t want to die prematurely either. 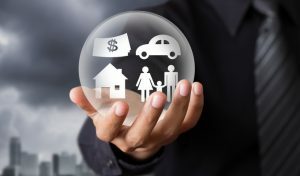 The following three types if insurances should appear strongly on your radar as you engage in mapping out your future. Health insurance is arguably the most important insurance for one obvious reason: life is sweet, and probably the most precious thing you have. And who does not want to live healthy? Good health gives you the energy to work, earn, and enjoy life. Imagine if you were to have a life-threatening disease or accident, without insurance. Reality has it that you could find yourself heavily indebted to a healthcare facility, or all your income could be depleted due to huge hospital bills. For single individuals, life insurance can cater for burial costs and debts if they die.